Drug related charges associated with marijuana, hashish, ecstasy (MDMA), heroin and cocaine include Drug Trafficking, Drug Possession and Drug Cultivation. We have extensive experience defending charges under the Controlled Drugs and Substances Act (CDSA). We frequently handle situations where law abiding citizens, without criminal records, are confronted with drug related allegations. Some of these individuals are professionals who were unexpectedly confronted with these allegations. In its R. v. R.R. , the accused was found in the car with over 3 grams of cocaine, the Firm resolved it without a Criminal Record. What does the Crown have to prove for Prosecution of Drug Offences? How is knowledge of the illicit Substance Proven? What is a Search Incident to Arrest? When can the Police Execute a Search Warrant? What is the “Plain View Doctrine”? What is Drug Trafficking and Possession for the Purpose of Trafficking? What are the Penalties for Drug Trafficking? To prosecute drug offences, the Crown must prove (1) the drug was an illegal drug, (2) the accused person had control of the drug and (3) the accused person had knowledge that the drug was illegal. The Crown must prove these elements beyond a reasonable doubt. It is not enough for a police officer to say something looked like an illegal drug. Typically, to prove the substance is an illegal drug the Crown will tender a “Certificate of Analysis” from an analyst who has tested the drug. Then, the Crown must connect the drug to the accused person. To find an accused person possessed an illegal drug, the Crown must prove knowledge beyond a reasonable doubt. The Ontario Court of Appeal has said that knowledge requires an accused to have knowledge of the “criminal character of the item in issue.” Knowledge can be established by direct, circumstantial or a combination of both types of evidence. For example, an honest belief that you possessed sugar will prevent the Crown from establishing knowledge if the substance is actually cocaine. However, you cannot defend a drug charge by claiming you thought one drug was a different illegal drug. For example, mistaking cocaine for heroin will still be sufficient to establish knowledge of the criminal character of the item in issue. A search incident to arrest is a search that takes place after an arrest. They are an exception to the general rule that all searches require a warrant. Searches incident to arrest are commonly done on persons and vehicles under the control of a person who has been arrested. There are three conditions for a search incident to arrest to be valid. (3) The manner in which the search was carried out must be reasonable. Searches incident to arrest are common law police powers. They do not require the police to obtain prior authorization (a warrant) to conduct the search. A search warrant is a legal document allowing law enforcement to enter and search a specified premise. Search warrants allow investigators to locate, examine and preserve evidence, which may give rise to criminal charges. A search warrant must specify the premises to be searched and the particular offence being investigated. Search warrants may be sought before charges are laid or after charges have been laid for further investigative purposes. Justices of the Peace issue search warrants after law enforcement officers bring them a sworn Information to Obtain. The Justice must find there are reasonable grounds to issue the search warrant. The warrant authorizes that it be executed by night. The plain view doctrine allows police officers to seize items that are in plain view of a police officer who has authority to be in that view. It is a seizure power, not a search power. In order for officers to seize potential evidence under the plain view doctrine the officer must be conducting a lawful search or in the specified place with permission. Therefore, the plain view doctrine allows officers to seize items or evidence not mentioned in warrants if during the execution of that initial lawful search the officer comes across the item in plain sight. An example of where the plain view doctrine may be used is if police officers are on the hot pursuit of a suspect and noticed the items they wished to search for. Another example would be if police officers had a warrant to search a suspect’s home for a specific gun and then found other evidence (i.e. drugs) on the kitchen counter. The plain view doctrine gives police the authority to seize those drugs. Drug trafficking and possession for the purpose of trafficking are offences under Section 5 of the Controlled Drugs and Substances Act. Trafficking is the delivery of drugs from one person to another. Possession for the purpose of trafficking charges arise when an individual has possession of an illegal narcotic that he or she intends to make available to others. 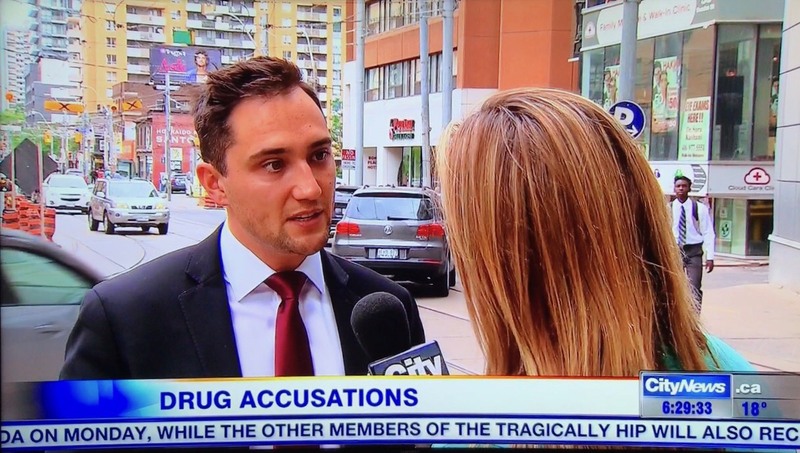 The offence requires the accused person had knowledge of the drugs or was willfully blind as to their presence. Substances are divided into Schedule I, II and III categories depending on the type of drug the individual is found in possession of. Penalties for a conviction of drug trafficking will vary depending on the specific circumstances of the offence, the characteristics of the offender and the presence of any aggravating or mitigation factors. Section 5(3) of the Controlled Drugs and Substances Act sets out that a conviction of drug trafficking can result in a penalty of life imprisonment if the drug is a Schedule I narcotic. The provision also sets out that there are mandatory sentences of imprisonment when drug trafficking is done in association with a criminal organization, with the use of violence or weapons, if it was a subsequent offence, if the offence occurred near a school or in a prison and if the offence involved the use of a person under eighteen years of age. Penalties vary in severity depending on what Schedule the illegal narcotic falls into and whether or not any of the aggravating conditions triggering mandatory imprisonment sentences are triggered. Drug raids and the seizure of equipment in grow operations is a complex area of law. The police draw upon an arsenal of investigative techniques, including sophisticated surveillance and hydro consumption monitoring equipment among others. Several of these tools require prior judicial authorization and the use of search warrants. We have extensive knowledge on police investigative protocol and search warrant procedure. We critically analyze the use of these investigative tools in formulating your defence.